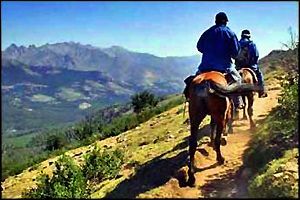 The Equestrian Center offers Tahoe Donner℠ property owners and their guests the convenience of boarding their own horses or the opportunity of renting a horse to enjoy the 100 kilometers of riding trails that are adjacent to the Tahoe National Forest and Castle Peak Wilderness areas. 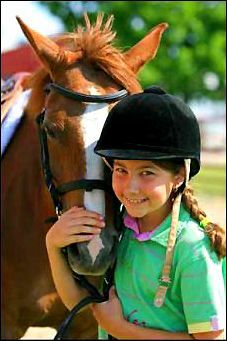 Children of home owners in Tahoe Donner℠, ages 8 through 16, will enjoy the learning experience they will get at the Center’s horsemanship camps. These small, four-student programs run a week long for half days. 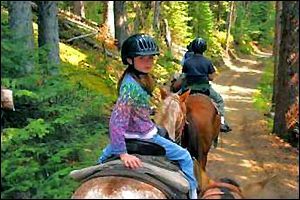 There are 3 levels (beginner, immediate, and advanced) that educate children in safety, riding skills and horsemanship while exploring the beautiful scenery of the Tahoe Donner℠ area. 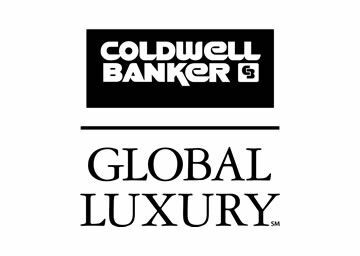 Riders will enjoy the spectacular scenery as their trail winds though the pine forests of the Tahoe National Forest and Castle Peak Wilderness areas, or the aspen groves and meadows of the Tahoe Donner℠ area's own Euer Valley. Tahoe Donner℠ property owners will truly experience the magnificence of the Sierra Nevada. 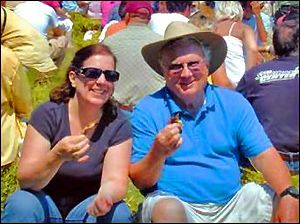 On scheduled Saturdays from June through September the Equestrian Center in Tahoe Donner℠ hosts barbeques from 5pm to 7pm. This lively Tahoe Donner℠ area event is filled with fun activities, such as horse-drawn wagon rides, a treasure hunt for the Golden Horseshoe, and a water balloon toss the whole family can enjoy! 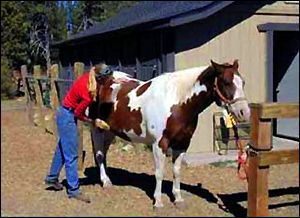 The Center offers several options to real estate owners in Tahoe Donner℠ for boarding horses. The 10’x 10’ Barn stalls with 12’x 24’ attached paddock includes daily cleaning, watering, and feeding. The outside 12’x 24’ paddocks are partially covered and include daily cleaning, watering and feeding as well. They also have the “Mucker Special,” which includes daily watering and feeding, but the owners must clean their own paddock daily. The prices for these options range from $235 to $290 for Tahoe Donner℠ members. The Center's opening and closing is dependent on the weather; opening is usually in late May/early June and closing in early October. 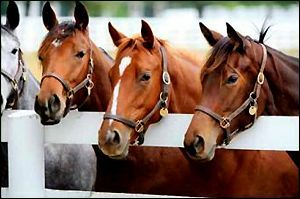 For further information about the Equestrian Center in Tahoe Donner℠ call (530) 587-9470 or click here.